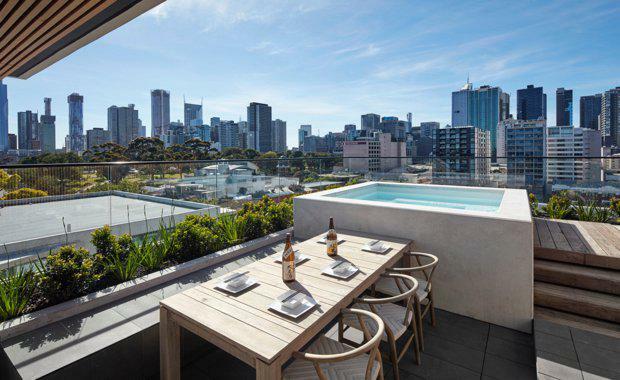 Luxury apartment developer Gurner repaid $130m in construction loans in just three days, staring down the fears of settlement issues and oversupply. 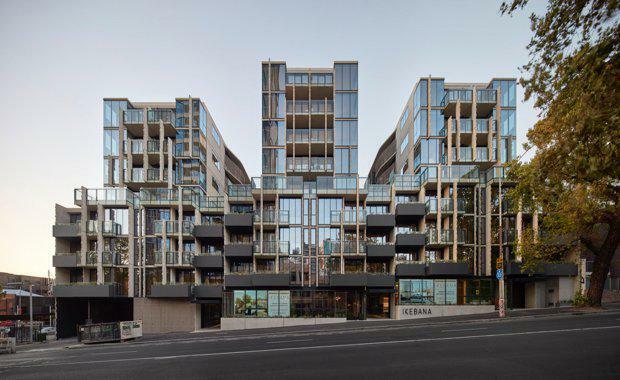 The projects included ‘Ikebana’ in West Melbourne, 241 apartments and ground floor retail with a total construction debt of $90million financed through NAB, and ‘107 Cambridge Street’ in Collingwood consisting of 91 apartments plus ground floor retail, with debt totaling just over $40million with ANZ. Both projects commenced settlement the week before Christmas – traditionally a difficult time of year for the property market – and by Christmas Eve 107 Cambridge Street was fully settled, while Ikebana had reached over 90 percent settled totaling over 215 apartments, meaning both bank loans could be swiftly repaid in full. The settlement success comes after a period of prolonged concerns regarding settlement rates following the changes to the major banks’ foreign lending policies in 2016. Gurner Founder and Director Tim Gurner said while 107 Cambridge had zero foreign sales, 45 percent of the apartments at Ikebana were sold to FIRB purchasers. He said the risk of settlement defaults was low due to the quality of the agents and buyers in the project and the increasing percentage of FIRB buyers who settled with cash or other means of financing in lieu of the Australian banks’ support. “The specific agents that we use have been selling internationally for over 15 years, so they know their clients inside and out. It is the smaller, new agents without a solid reputation that appear to be having issues," Mr Gurner said. “Unfortunately the minority of small, dodgy agents have cast a shadow over the industry and scared the banks, however the majority of the big international agencies we use have been around for 15 to 20 years and know much more about the Chinese market, the economy and the buyers than the banks or us. “Absolutely there has been a move towards overseas and private institutions filling the funding gap the Australian banks have left behind. There really was no other choice when 80% of the finance market disappears overnight. "Interestingly we have found a substantial number of purchasers at Ikebana settling with cash – over 35 percent - which is much more than any other project we’ve sold to date. Previously we saw cash settlements in the realm of five to ten percent." Tim GurnerMr Gurner believed that the demand is still high for projects that have unique points of difference and at a high standard of finish and detail, in sought-after suburbs in the city fringe and inner suburbs, and the success of our project launches and quick sell-outs in 2016 is testament to this sustained demand. “The market has definitely become more competitive and difficult due to changing regulations and planning policies which will test developers who are not currently delivering unique product or who are focused on smaller investment stock," he said. “This isn’t necessarily a negative as it will force developers to step up and create apartments and developments that meet the market and at the moment the market is demanding larger apartments of an exemplary quality with impeccable design standards. "“I was initially wary of the rumours around settlement issues and the constant negative press, so we did spend more time and resources focusing on our buyers and the settlement and valuation process to ensure we could mitigate as much risk as possible," he said. Mr Gurner professed his confidence that if developers work hard with purchasers and find alternative funding options, buyers will get through this period unscathed. “It is however critical that developers take heed of the change in finance conditions as it is very real,” he said.